The Marvel Universe is expanding. And, no, I'm not talking about more Avengers movies and episodes of Agents of S.H.I.E.L.D. This time around, I'm talking about the extension of the Marvel Universe that just so happens to be taking place in New York City's Hell's Kitchen — and also happens to be completely accessible for streaming via Netflix. 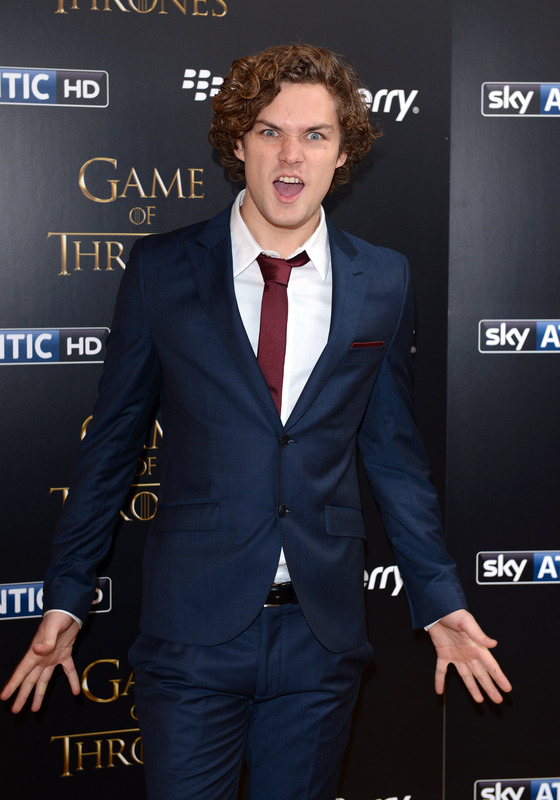 The comic book giant has confirmed Game of Thrones ' star, Finn Jones, will be Iron Fist in the upcoming self-titled series, because there's no such thing as too many Marvel heroes. With Season 2 of Daredevil premiering on Friday, March 18, and Jessica Jones being renewed for a second season, the Marvel on-screen universe is getting a whole lot bigger than fans may have originally imagined. Jeph Loeb, a head of Marvel television, couldn't be feeling more confident about the team that's coming together. “Finn wonderfully blends confidence with vulnerability, making him the perfect choice as he struggles to find his place in the world," says Loeb, "Now that we’ve found our Danny Rand, we’ve completed our principal cast for the upcoming Defenders on Netflix and we are thrilled to continue to show audiences unexplored corners of the Marvel Universe.” The Defenders is the coming together of the entire Marvel New York City-based world, but, before then, there's so much more on our plate. Basically, it goes like this. Friday, March 18 is Season 2 of Daredevil. Next up, September 30 will mark the premiere of Season 1 for Netflix's new show, Luke Cage, based off of the character previously introduced to us in Jessica Jones (played by actor Mike Colter). From there, Marvel is then going to introduce yet another superhuman character in the Hell's Kitchen mix. The first season of the show Iron Fist will be premiering on Netflix in November 2016 — and that show sets out to give us a whole new view of the city according to a recent statement from Marvel. Feeling overwhelmed by marathon hours yet? However, after those three new show and season releases, that's where the Marvel-Netflix world is currently on hold. While a second season of Jessica Jones is confirmed, there's no release date set. Plus, there's talk of yet another new show showing up before they all come together in The Defenders. Aside from the already established and confirmed shows including Daredevil, Jessica Jones, Luke Cage, and Iron Fist, rumors of a spin-off for The Punisher have been swirling as well. Which makes fans, yes, more excited, but also making the release date for The Defenders just a little further off. After all, there's a lot of pieces Marvel is trying to fit into this puzzle. Excuse me while I hibernate in front of my Netflix and do nothing else but investigate crime in Hell's Kitchen. I mean... watch Marvel shows. Seriously, the new Marvel team that's coming together has New York City more under control than The Avengers did in the Battle of New York. Bring it on, guys. This television-based team is no joke.